Last week, our intern Megan found three posters advertising balloon voyages amongst the items in the John P. Cushing World War I Poster Collection. 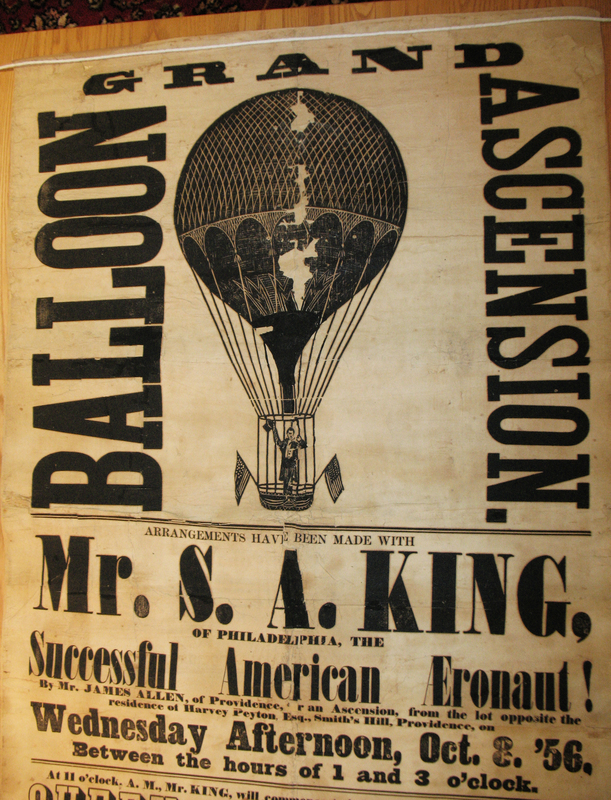 Why were broadsides advertising nineteenth century balloon ascensions mixed-in with a collection of World War I posters? 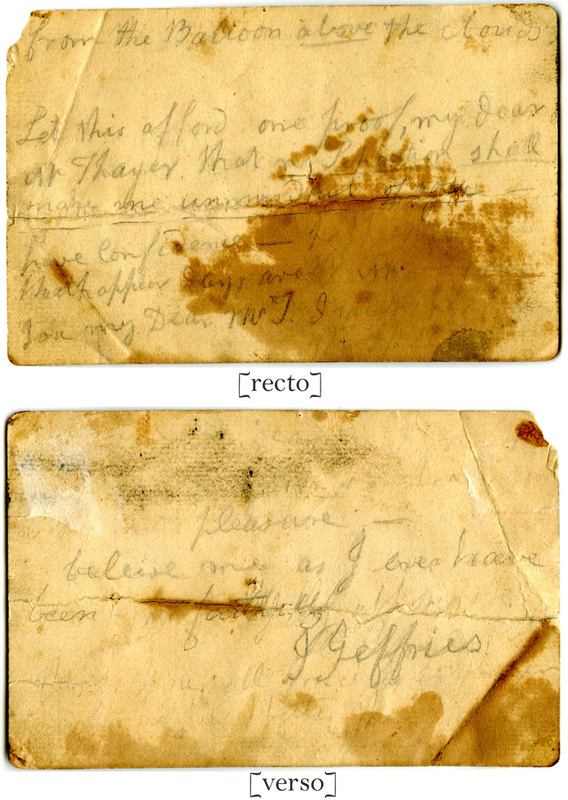 Are these three balloon voyages somehow connected? We may never know. What we do know is that we can now happily add these to the other early aeronautical items held by Amherst Archives and Special Collections.